Fireplaces add character and heat to a room, but the prospect of a difficult installation prevents many potential purchases. 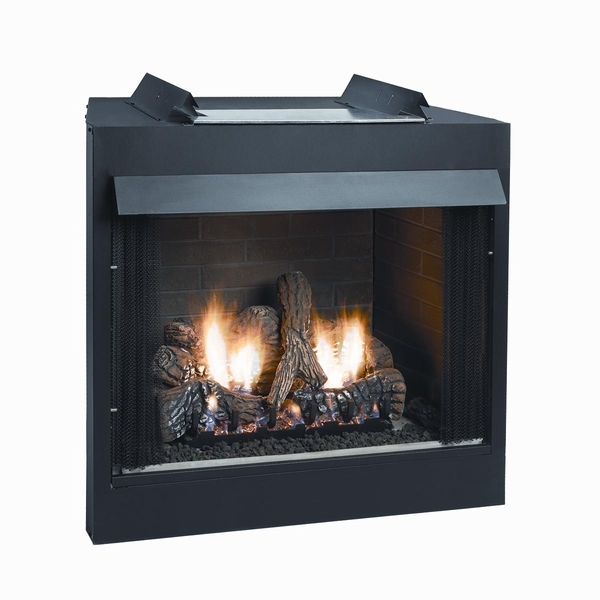 To help relieve this problem, Empire introduces this Breckenridge vent-free firebox. Displaying a matte black hood and aged brick ceramic liner, this model includes hem-bent seams that replace unnecessary screws. In addition, the vent-free design eliminates the need for additional flues or piping. This lightweight model comes with a 5-year limited warranty, ensuring convenient quality that lasts.